Today’s world economy demands global data management throughout all levels of the supply chain. There is urgency for security, storage and affordability. Some service providers do have supply chain data, but it is often static with little interaction between buyers and sellers. Azzule, an information technology company, not only stores your supply chain information, its functions provide dynamic data. This supports distribution and analysis of information between supply chain buyers and sellers. Unique and data driven interactive charts provide useful and targeted information that can direct an action plan to address your unique needs and challenges. The creative team behind Azzule needed a name and they needed a logo. Inspiration was found in the book Blue Ocean Strategy by W. Chan Kim and Renée Mauborgne. After research and intensive discussions with management, the name Azzule was selected, which is a play on the Spanish word azul, or the color blue. The subsequent logo signifies an abstract “A” and represents a drop of water rippling outward, symbolizing the dispersion and implementation of information. Azzule’s collateral materials and exhibit booth were developed. Web refresh and advertising media plans were implemented and updated. Over the last ten years, I have worked with CrossRoads Studios on brand image projects for two separate companies — first for PrimusLabs, and then the creation of Azzule Systems. CrossRoads Studios is consistently reliable and friendly, and has always been committed to our needs and priorities. As an innovations company, Azzule Systems presents a branding challenge that CrossRoads Studios has successfully handled. In todays’ business environment it is critical that your brand messages are clear, concise and uniformly communicated. CrossRoads Studios’ active involvement in our overall brand development, from interacting with our team in developing strategy to web development and implementation, has been core to Azzule’s ability to deliver clarity of message. 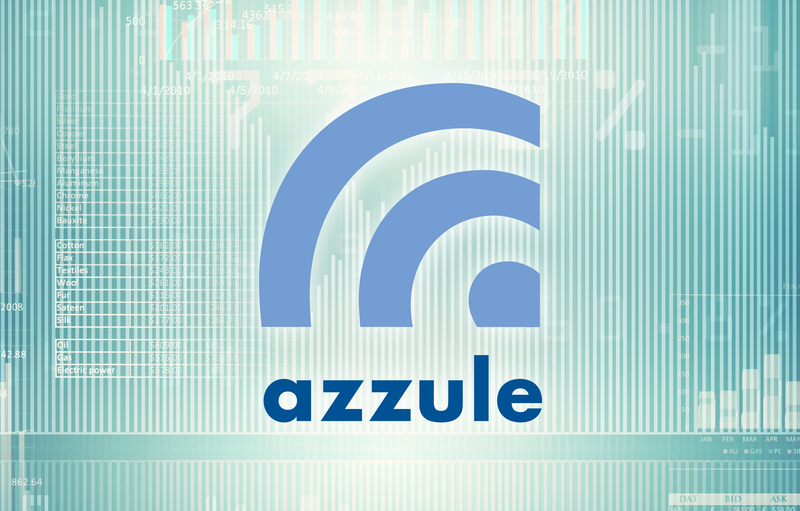 CLIENT NOTES: Azzule Systems provides data management solutions for today’s complex supply chains with information input, storage and movement. The company’s customers include food retailers, the food service industry, distributors and retailers. 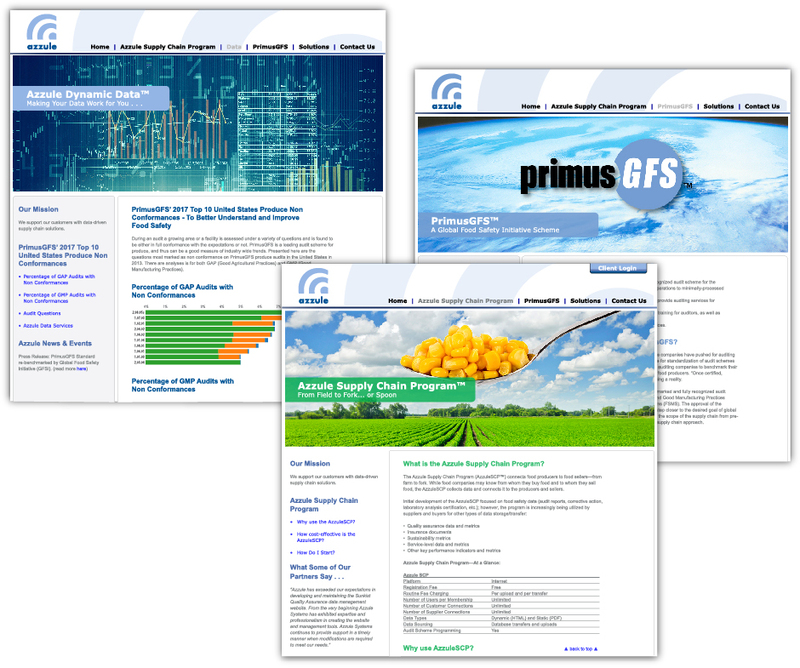 They provide solutions for food safety information, sustainability or any other form of valuable statistics for your organization. Azzule Systems is located in Santa Maria, CA.